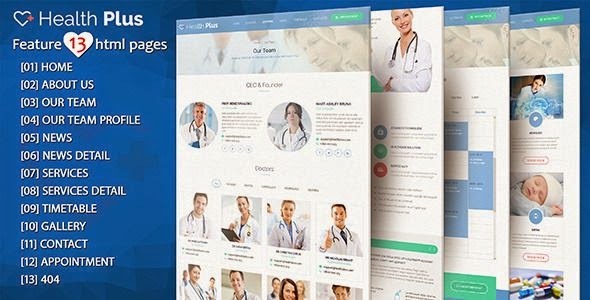 HealthPlus is a premium medical HTML template designed for Hospital, Health Center or Private Doctor. It can be also used for a Health Portal with Blog & News content layout. This theme is also available in PSD. Item Reviewed: Health Plus Responsive Medical or News HTML Template 9 out of 10 based on 10 ratings. 9 user reviews.